Rocky cliffs, Spanish fortresses, the azure sea and pretty ports. Admittedly it’s not usually for the food that people visit Monte Argentario and its little town of Porto Ercole, where we currently live. But if you happen to be exploring this most beautiful and quite rugged part of Tuscany, here’s how you can also eat really well in the area. Everyone has been to Tuscany. But what they often mean is they have been to Florence. Or the chianti. Or maybe Lucca. When you come as far down as Monte Argentario, where we are just thirty minutes drive to the border of Lazio, it’s a very different Tuscany. We are much closer to Rome (1.5 hours away) than Florence (2.5 hours away), after all. It might seem strange to even think that secret parts of such a well-trodden destination such as Tuscany exist, but they do. In fact, it is what I love most about this sliver of Tuscany. It feels like a bit of a secret. I think I need to start with a bit of geography first. But then we’ll get there, to the food part. It’s quite hard to separate these things when it comes to regional Italian cuisine, but even more so in a corner that’s not full of modern cities but crumbling hilltop villages, ports and old ways. First you need to know la Maremma – a region within a region, almost. Defined by invisible borders created by Etruscan history and landscape, the Maremma covers a good portion of the 400 kilometre Tuscan coastline from Cecina, south of Livorno, hopping over the border to Tarquinia in Lazio and extends inland too to towns like Pitigliano, Capalbio, Manciano, Bolgheri. Towns you may not have ever heard of, but that should be on your list of places to see. For many Tuscans, the Maremma is well known as a summer holiday destination – plenty of beaches, retro seaside towns where families have been visiting for generations, camping, natural parks and generally breathtaking, rugged, rustic beauty made up of sea views, hills polka-dotted with olive groves, giant fig trees growing out of abandoned farm houses, golden grain fields, rambling vines and medieval towns. 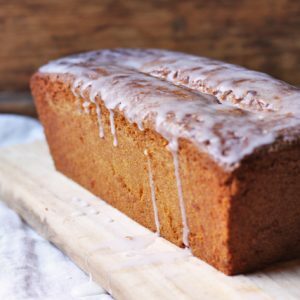 Plus it is well-known to those who actually do know it as a food lover’s paradise. Typically, you eat fish if you’re right in front of the sea – and very, fresh, very good fish too. Anchovies (acciughe or alici) and other oily fish such as mackerel (sgombro) and bonito (palamita) abound, as do sea bream (orata) and sea bass (spigole). Shellfish, scampi, crabs, octopus and prawns are also common. But a 15 minute drive inland and you’re looking at a menu of wild boar, rabbit, foraged mushrooms, wild herbs and hearty vegetables and heartier soups. 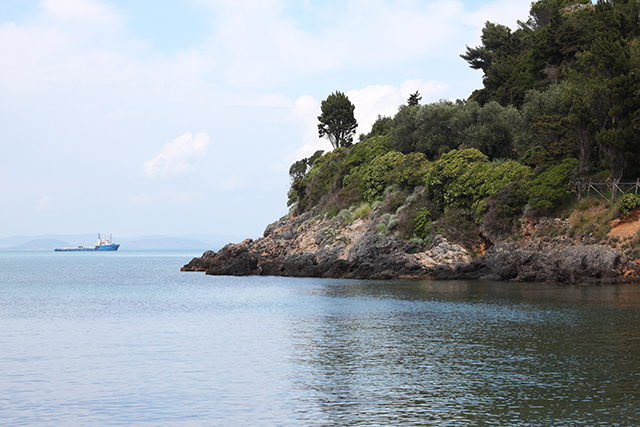 If you happen to be exploring the area, Monte Argentario is a wonderful base. It’s two towns are Porto Santo Stefano and Porto Ercole with most other parts of the promontory rugged bushland and forest. 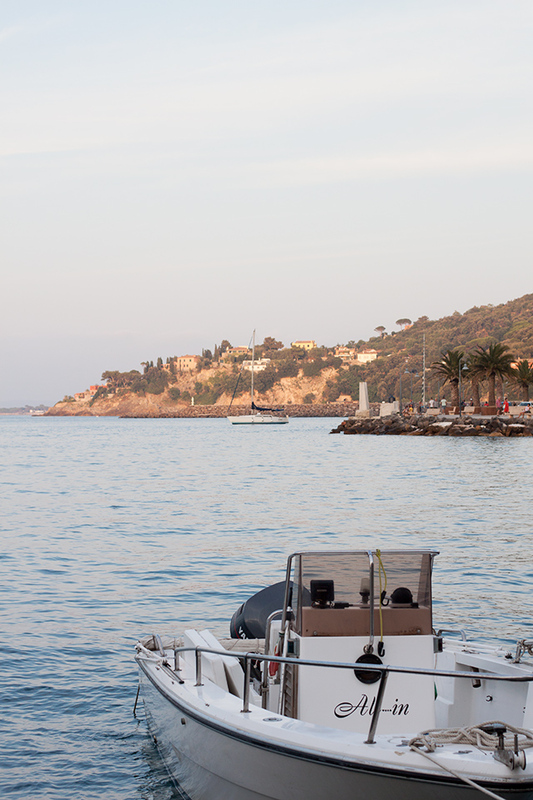 You’re a ferry ride away to Giglio Island (which departs from Porto Santo Stefano). Orbetello and its wonderful lagoon cuisine is just a few kilometers away. And in half an hour you can reach beautiful towns like Capalbio or Manciano. In around an hour, you can get to Sorano and Pitigliano or the hot springs of Saturnia. It’s worth staying a while. Book a wonderful little apartment (for example on airbnb) where you can cook your own food if you want. Below are some of my favourite food spots, including where to do good food shopping. And I would also heartily recommend looking at Katja Meyer’s (of Map It Out Tuscany) blog posts on Maremma – in fact, her whole blog for any further Maremma information. 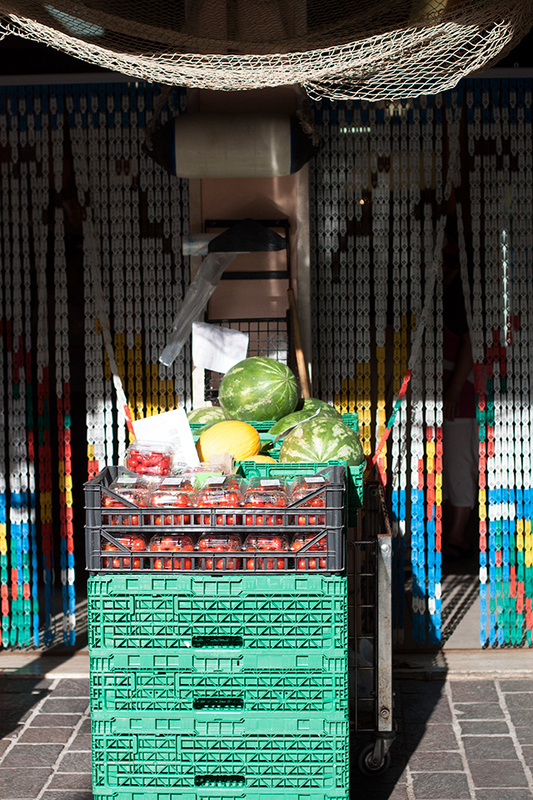 Weekly markets: The weekly markets in the area are outdoor stalls where you can find clothes, shoes, food (ready prepared and fresh produce), household items and such. 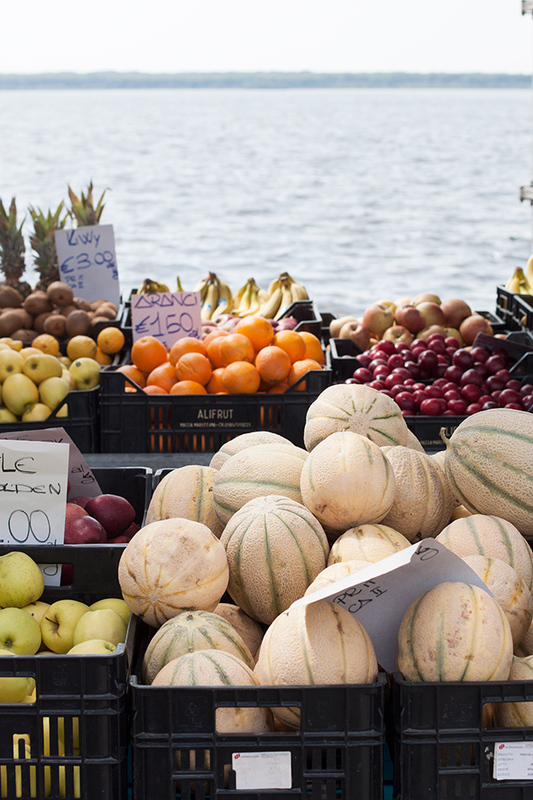 Porto Ercole’s weekly market is Monday, held in the car park/piazza before you hit town. 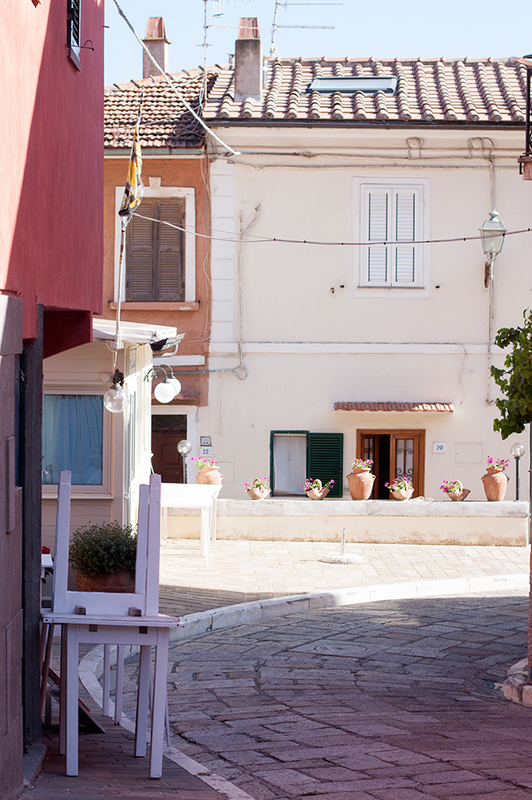 Porto Santo Stefano’s market is on Tuesdays and Orbetello’s market (via Caravaggio corner via Trento, just outside of the Porto Nuova, photo above) is on Saturdays. You’ll find many of the same sellers at all these markets as they do the rounds, but Orbetello is my favourite as it’s also right on the lagoon which makes for picturesque shopping and there is a good, quite shady, fenced children’s playground there which means I can plop my daughter in there with her dad or nonna while I get the shopping done! 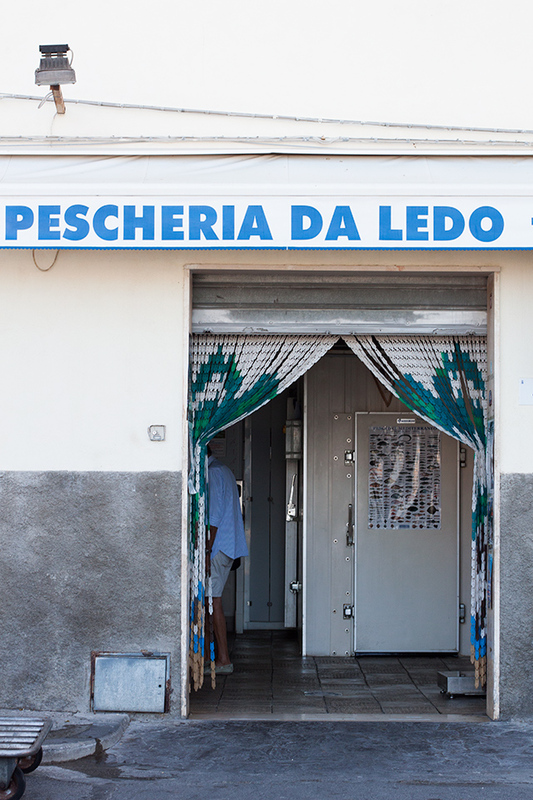 Orbetello also has good fresh fish sellers, while Porto Ercole’s is a much smaller version and doesn’t have fresh fish. 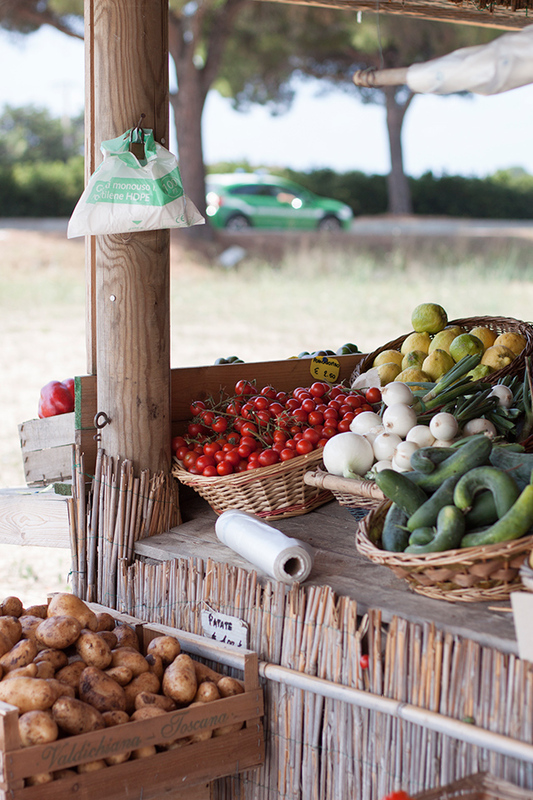 You’ll also come across numerous roadside produce stands, which I love as it’s usually direct from the farmer, seasonal, inexpensive and delicious local produce. Fresh Fish: I get my fresh fish from family-run Pescheria Da Ledo (Lungomare Strozzi 3 Porto Ercole), they have their own fishing boat, their seafood whatever they happen to catch that day, so if you can’t find what you’re looking for in the morning, you may be in luck in the afternoon that they’ve caught that octopus you’re after. They’re also open every day (just note the long siesta after lunch – they reopen at about 4:30pm). Butcher (and wine): The best, most friendly, little butcher shop, Macelleria Navoni G (Via Italia 13, Porto Ercole). Everything is organic, as local as possible and of wonderful quality. It’s also the only butcher I know that sells everything from top wines (many local and natural), farm fresh pot set yogurt and artisan chocolate. Bakery: Il Forno del Porto (via della Marina 16, Porto Ercole) is my favourite for bread, pastries and biscuits. If you need to pick up a dessert to take somewhere, they do a lovely ricotta, rum and chocolate crostata that I sometimes dream about. On busy days in the summer, take a number from the ticket stand next to the door and wait outside (or go get a coffee) – it’s tiny. 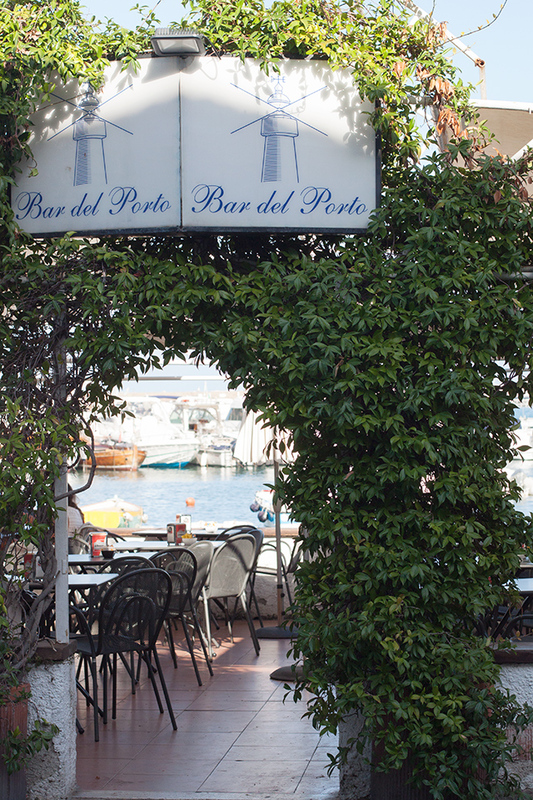 Note that they close (like most places in Porto Ercole) in the middle of the day from midday to 5pm. Bars: The lungomare (esplanade) has no shortage of bars to stop and take in the pink and purple sunset with an aperitivo in hand. They will usually offer snacks of peanuts, chips and olives with a drink. We like Bar il Porto and Baretto. Snacks: When the bakery is too busy and all I need is some schiacciata (Tuscan focaccia) to satisfy my hungry, schiacciata-loving daughter, I like to grab some pizza bianca from Grano (corner of Lungomare Andrea Doria and via della Marina), an excellent pizza a taglio spot (pizza sold by the slice), you can take away or eat at one of their little outdoor tables. While I’m there, I usually end up with several types of pizza. I can’t help it. 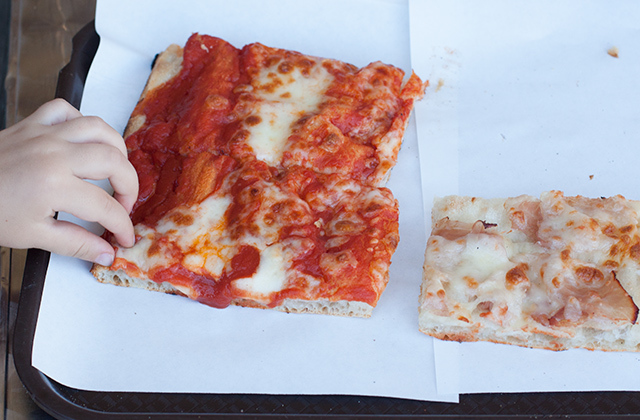 It’s all so good and it’s only 1.50 euro a slice (pictured below). Around the corner and down Viale Caravaggio is Sandwich Club (no. 50), a hole in the wall panino shop that sells wonderfully fresh panini on focaccia or white springy bread (tramezzini) with a huge variety of fillings, many simple and reliable such as speck, mozzarella and spinach or ham, cream cheese and grilled zucchini. For 2 to 3 euro per panino and quick hands that will toast them for eating right away or wrap them up in foil and pop them into a paper bag with a napkin for taking with you to the beach, it’s no wonder this spot is so popular (it has made it to Tripadvisor’s no 1 “restaurant” in Porto Ercole! There is a bench with a few stools but otherwise this tiny spot is better for taking away). Right off the farm: It’s not in Porto Ercole but it’s not too far away, positioned just a little inland in Albinia. For a one-stop farm shopping experience, head to La Parrina, an agriturismo where they make excellent organic cheeses (bitey, knock-your-socks-off goat cheeses in particular), fresh ricotta, as well as their own (very good) wines, olive oil and fresh produce. A wonderful place to fill up your shopping cart and if you have kids, they might love seeing the farm animals too. Gelato: I feel spoiled to be living so close to two very good ‘natural’ gelaterie – Creola (Lungomare Strozzi 8) which uses organic eggs and milk in their gelato in Porto Ercole (their crema al limone, lemon cream gelato, is wonderful) and Le Logge in Orbetello’s main street, Corso Italia (no 78). It’s a big call, I know, but Le Logge actually makes the best gelato I have ever tasted, anywhere. Just try the cioccolato fondente di Modica (dark Modica chocolate sorbet, a dairy free flavour) and the almost mousse-like nocciola (hazelnut) and you’ll see what I mean. Just a few favourites in the area, bearing in mind that I have a two and a half year old, so we usually look for places that do good food but are also friendly enough to be able to bring her with us! Pescatori di Orbetello: They deserved their own blog post, so you can read more about them, the restaurant and see photos here. An excellent spot for the freshest fish, caught and cooked by the town’s own fishing co-op. Also, a very cheap meal and great for families. La Sorgente: When it gets too hot and humid to cook, let alone even think, I like to escape up to the hills and hit this outdoor restaurant under the trees next to the beautiful Convento Padri Passionisti. It’s about a 15 minute drive from Porto Santo Stefano, Orbetello or Porto Ercole. 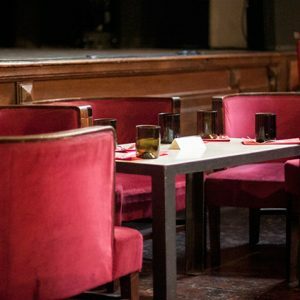 A great spot for families, cool and informal, order and pay for your typical Maremman style dishes like wild boar stew at the bar, sit at big wooden tables and wait for your number to be called out. The cold carafes of water here come from their own sorgente, the natural spring that has quenched the thirst of pilgrims for centuries. I Due Pini: Halfway between Orbetello and Porto Santo Stefano on the quaint, rocky beach known as La Soda, this good looking restaurant sits on its own private beach (which means you can lie around on the beach after a meal). Excellent grilled fish and primi, but my favourite thing to order here is the seafood antipasto taster where they bring out dish after dish of delicious little plates of this and that to share around the table (it’s quite deceptive, you may be full after just the antipasto). Outside seating in the shade makes for a great beach lunch (look at the views from here in the last photo on this post), but inside is just as lovely, with the same view of sparkling deep blue sea. Braccio: If you’ve been lying on the sandy stretch of Feniglia and suddenly realise you need more than just a panino for lunch, this popular beach chair and umbrella rental spot also has a good restaurant. I particularly like the classic pasta dishes of local seafood, think classic spaghetti alle vongole or with bottarga di Orbetello and gnocchetti with sea bass ragu. Il Pellicano: If money is not an issue and you’re looking for somewhere incredibly special and romantic for dinner, try the Michelin-star restaurant of the luxury resort, Il Pellicano, about 15 minutes drive outside of Porto Ercole. The very handsome head sommelier who speaks English with an Australian accent just happens to be my husband. Tuscan food fairs, known as a sagra, abound in the Maremma, especially over the summer. It’s a fun, economical, informal, often rowdy, way to experience a true glimpse of the local food – think long, shared tables, paper cups or plastic plates and bright lights set over a makeshift covered space. In Porto Ercole you can find the Sagra della Sardella (sardine) or the Sagra della Ficamaschia (a rather interestingly-named locally caught fish known as blue whiting in English and melù in the rest of Italy) in August and the Sagra del Cinghiale (wild boar) in early September. My husband worked several summers in the Maremma. He often talks about his time there and the beauty of this relatively undiscovered part of Tuscany. The seafood you describe sounds wonderful. I’d probably be cooking and eating fish everyday if I was here! It still surprises me every day how beautiful this place is and how few tourists are here (it’s rather a shock to actually hear another English speaker it’s that rare!). Yes, the seafood is great here and seeing as it’s the easier for me to get to the fishmonger than the supermarket, fish is often on our table. It really is undiscovered territory then. Being in beautiful but land-locked Piedmont makes me long for fresh fish at times so make the most of having the fishmonger close by. May is a really lovely time to explore this area, I highly recommend it! It’s not as expensive as say living in a bigger city like Florence or Rome. See how you like it when you come to visit but it’s very easy to fall in love with the area! I love this part of Tuscany, we have a house near Orbetello and I have all kinds of excuses to come and spend a week there (I’m based in Geneva). Maybe I will have a chance to see you end of October ?! Swimming might be out of the question by November though it just all depends. Today (mid-October) was a gloriously sunny/warm day and we did dip our toes into the water and it was simply perfect! If the weather’s sunny you can still enjoy walking and exploring some of the beaches — Acquadolce is a really beautiful one, the views are just wonderful! So glad and graceful to you I discovered your blog! Because of your enthusiastic story of Porto Ercole and the surroundings we decided to visit the Maremma and in particular Porto Ercole for 3 days the end of september. Great tips are the Macelleria Navoni G. not far from our apartment where we did some shopping, just like we did by your favourite bakery Il forno del Porto! We’ve also been to Pescatori di Orbetello : excellent spot indeed and we did eat very well food at a reasonable price. Friendly people! At La Parrina we bought very good wine, cheese and delicious yoghurt! Thank you for making our stay more wonderful! Grazie mille! Thank you so much for your message Annelie! 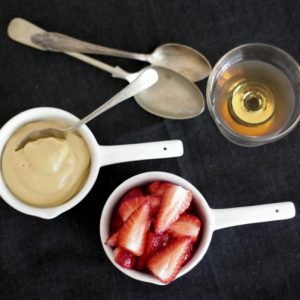 I’m thrilled that this helped you discover the area better and that you enjoyed it all — I love La Parrina’s yoghurt too! Huge thank you for publishing your blog. We are traveling from the USA to Argentario tomorrow and will be spending a week. 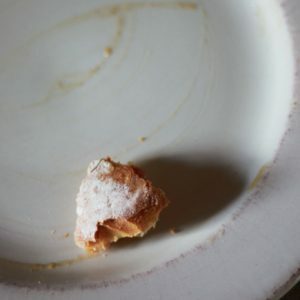 Your website will greatly ease our transition to SLOW living and la dolci vita. I hope you enjoyed your time in Argentario! Can you recommend a guide ? any pasta restaurants in porto ercole or monte argentario? Also could you inform if Il Pelicano is closed in November? Pellicano is indeed closed in November, unfortunately (they close from about mid-October until April). And many other favourite places like Il Braccio and La Sorgente are seasonal too. Most restaurants will serve pasta and in Porto Ercole, Alicina is lovely, quite modern, very intimate. But I really love Trattoria Paolo e Rosita in Porto Santo Stefano. It feels like you’re in their house having a family meal, they’re so friendly and the food is, well, like the best kind of home cooking. Very wonderfully fresh seafood. Thanks for the tips. Maybe we could invite you and your husband for lunch chez Paolo et Rosita? Being in the hotel/restaurant business for 25 years we like meeting other people with a good view on our sector. That’s very kind of you! Unfortunately we no longer live in the area and are now based in Florence. Thank you! Wondering if you can assist? We are from NY and have been to Italy ( tuscany, venice, florence, rome). We are coming again in Sept/Oct and renting a villa with friends in Montalcino. My husband and I are seeking a one day/night excursion to Il Pellicano, and plan to dine in the famed restaurant –as we have never seen the west coast. Curious if you think first week of Oct. will be too sleepy, end of season there? alternatively, we could go elsewhere for a night away from villa-life. I worry about staying somewhere when they close for the season a few days later…. Any thoughts appreciated. Thank you !! First week of October is still “in season”, Il Pellicano closes later in the month and things are still up and running around town. I think it would be lovely, you only risk that it may be possibly rainy but with luck it will be glorious and you can even take a dip in the sea. Hi Emiko! I had planned to visit Monte Argentario towards the end of October this year. I just found out that Il Pelicano will be closed already. We are fine with limited night life and fewer crowds (in fact we prefer it! ), but now I’m wondering if late October might be too “sleepy”? Will there still be open restaurants and things to do? 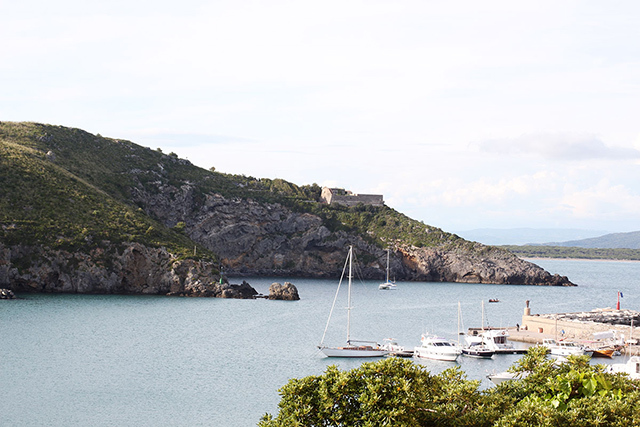 I discovered your site searching Porto Ercole, but now it is serving as the guide for our whole trip through Tuscany. Thanks so much! You’re right; things will be quiet in late October. It’s not such a bad thing, though you cannot count on the weather — some years October is gorgeous (and we have even swum in the sea!) but other years it’s rainy and cold. You will find restaurants open but accommodation is harder to come by in Porto Ercole at that time of year. 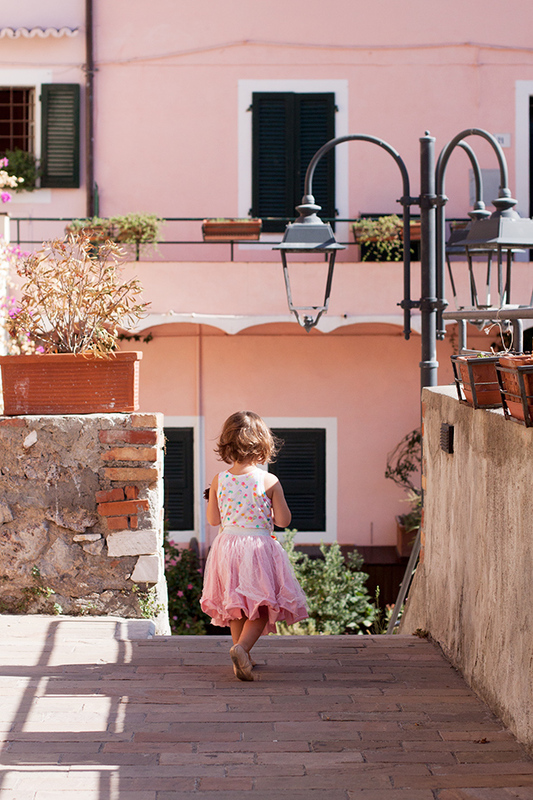 You may have better luck in Porto Santo Stefano, which is bigger, Orbetello (I have heard Casa Iris is very sweet, though have yet to visit!) or anywhere else on the “mainland” in Maremma (personally, my picks would be Capalbio or Saturnia). Otherwise try early October before things close, if you can! Ciao! Very excited to be heading to Porto Santo Stefano in the 3rd week of September. Watch out we will be 8 Aussies keen for great food, wine and fun times!